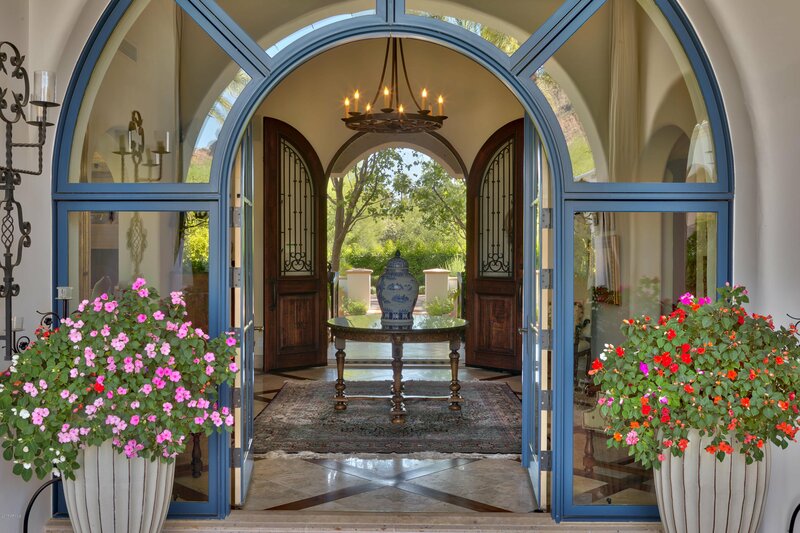 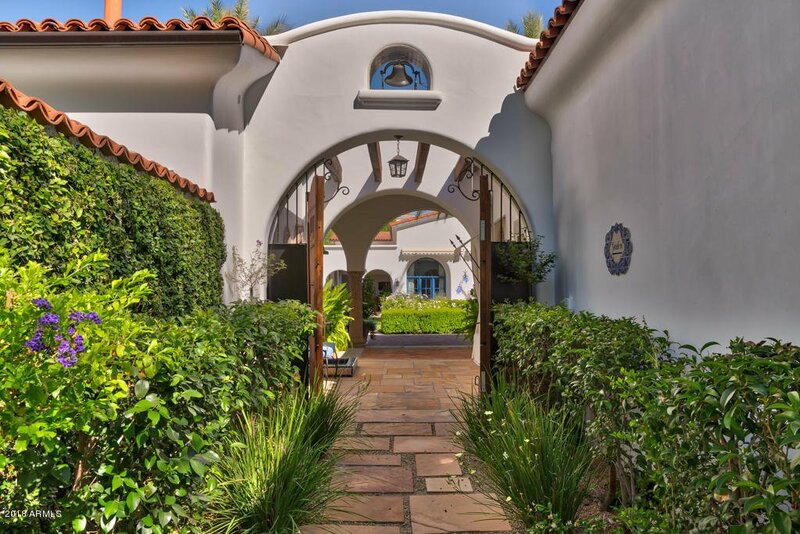 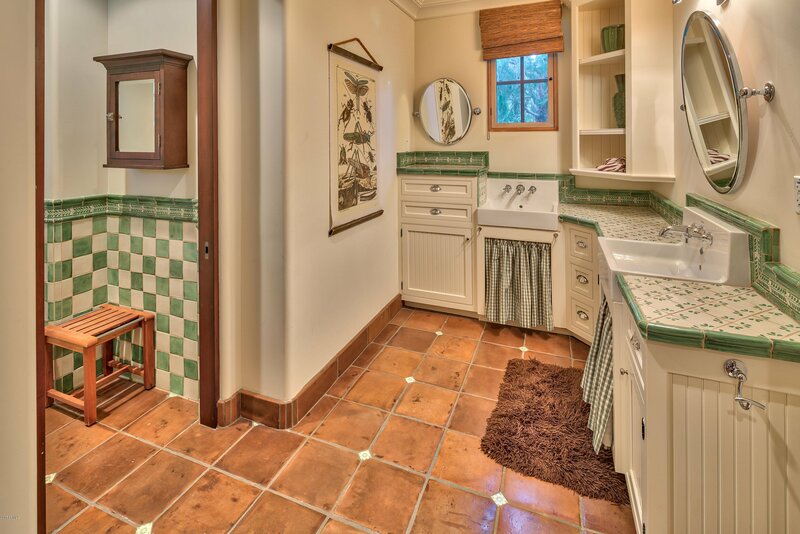 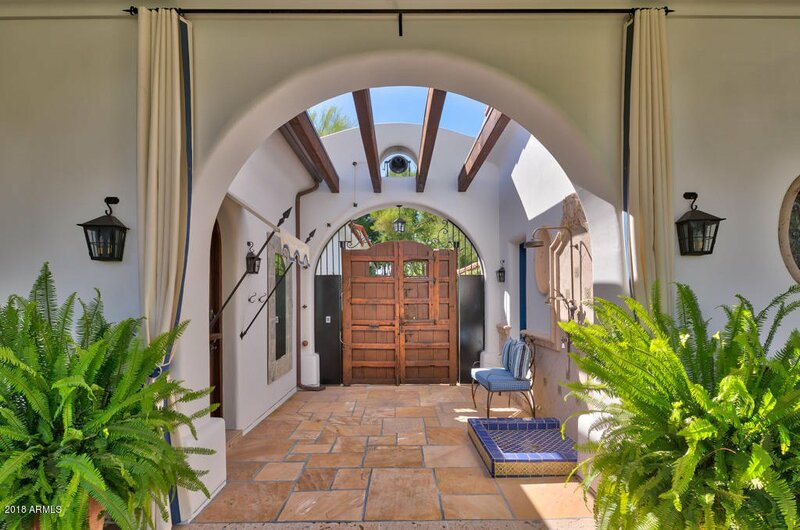 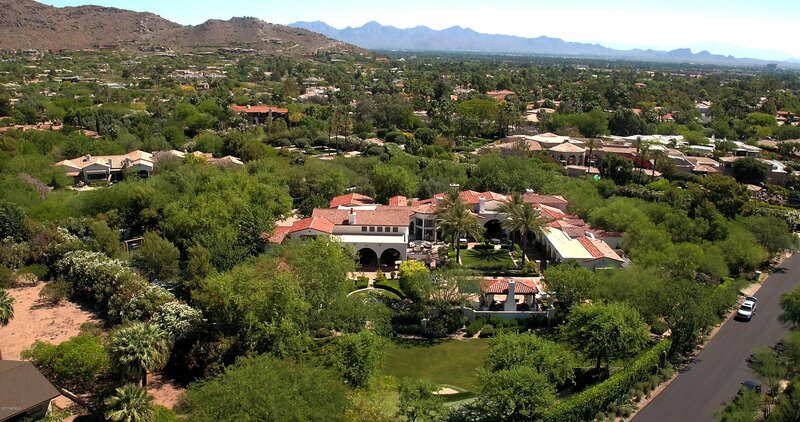 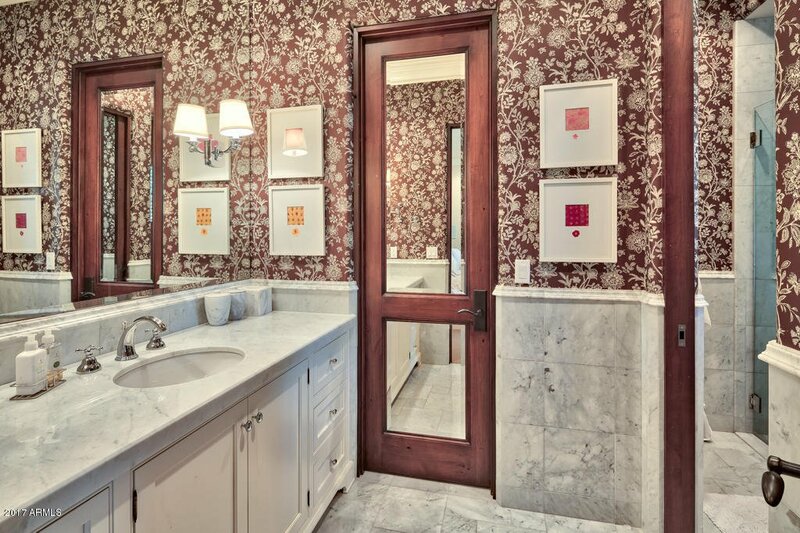 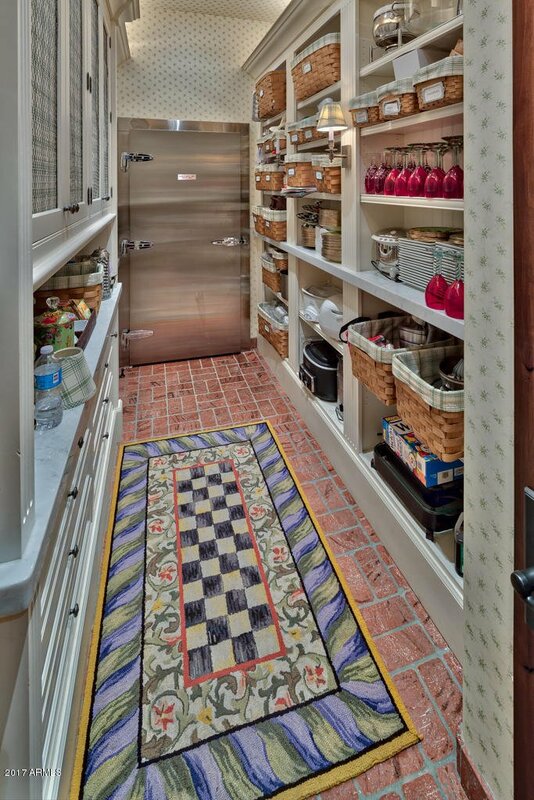 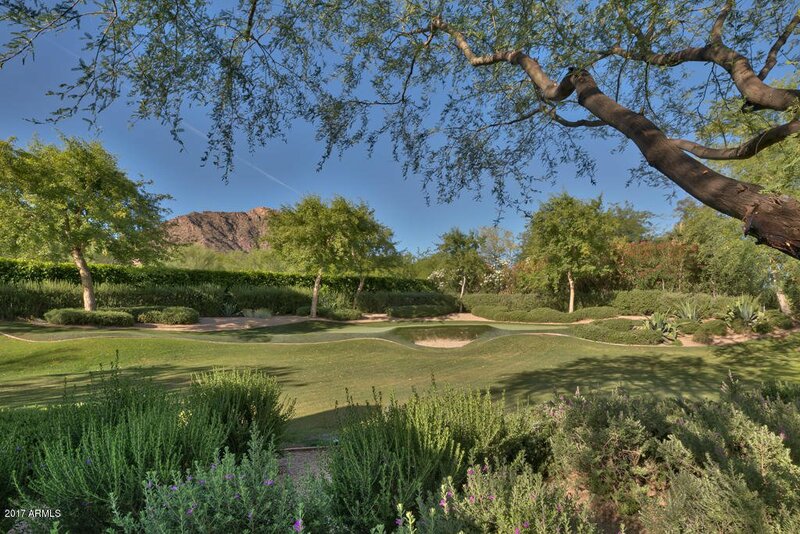 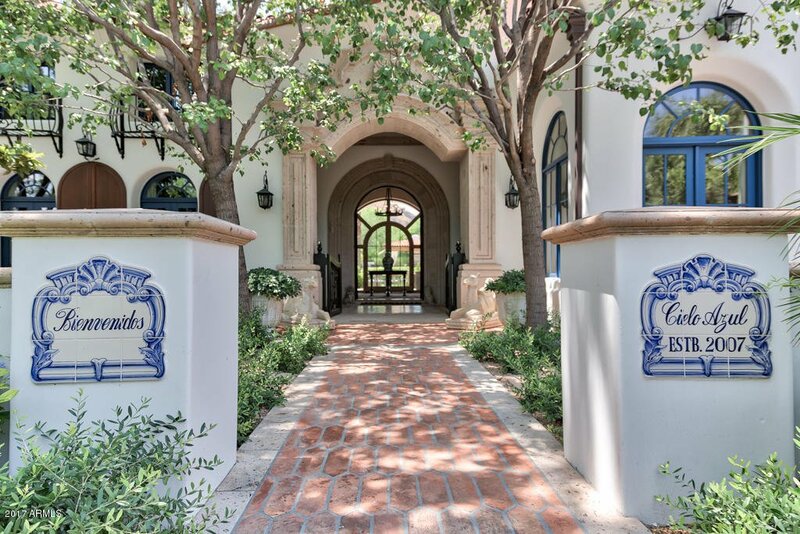 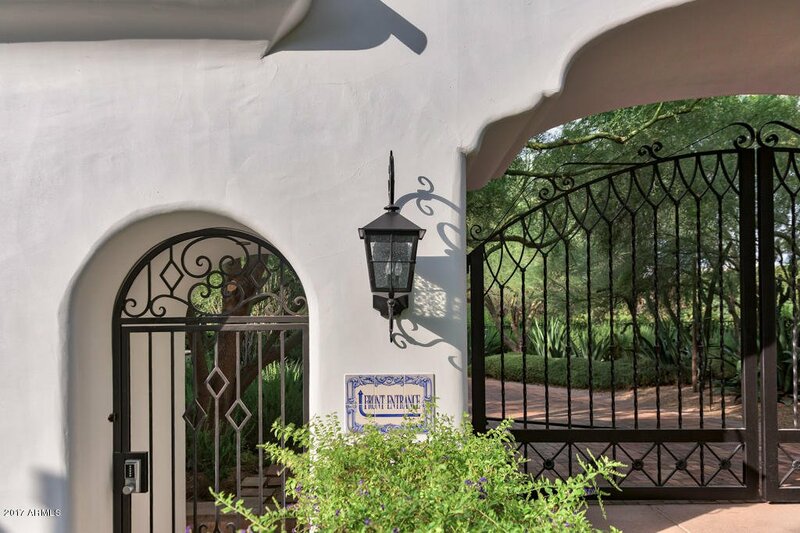 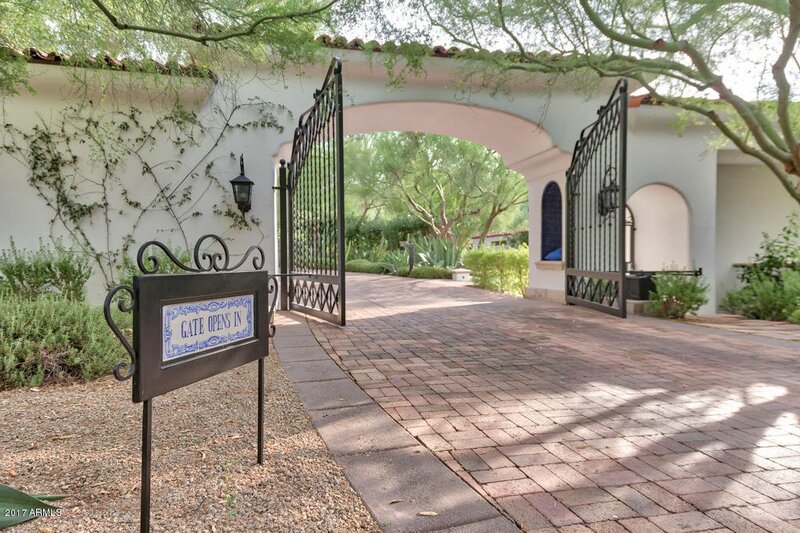 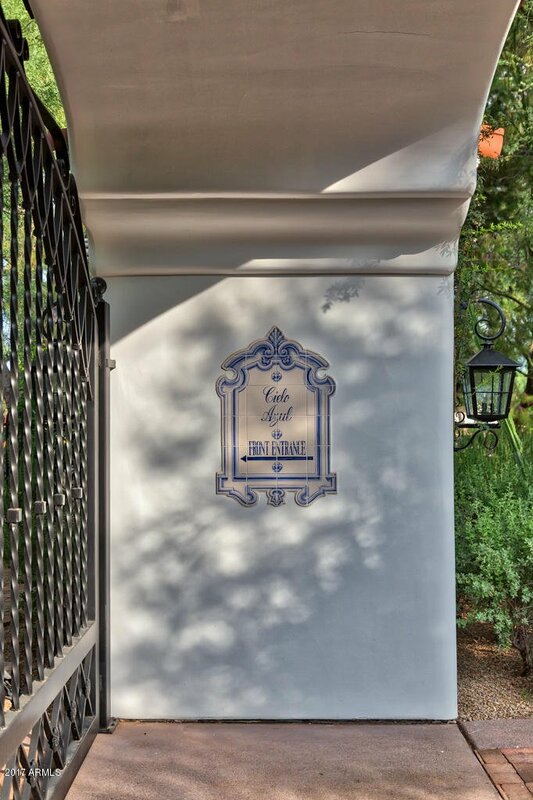 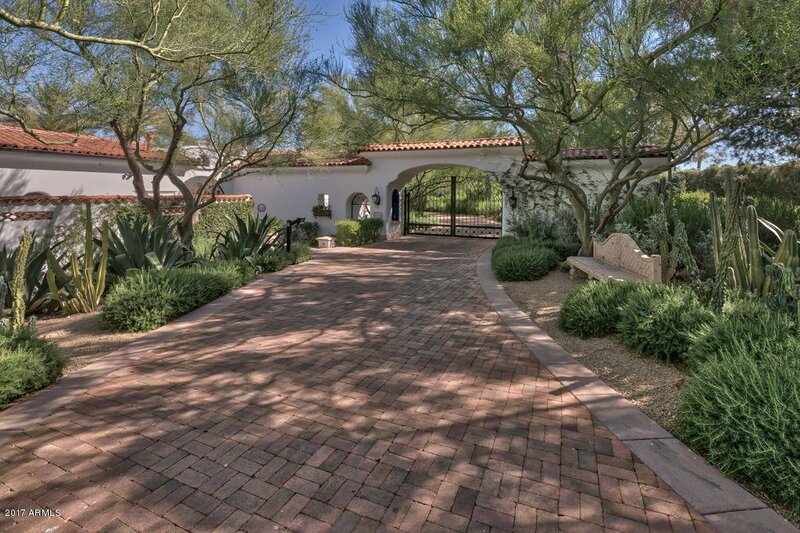 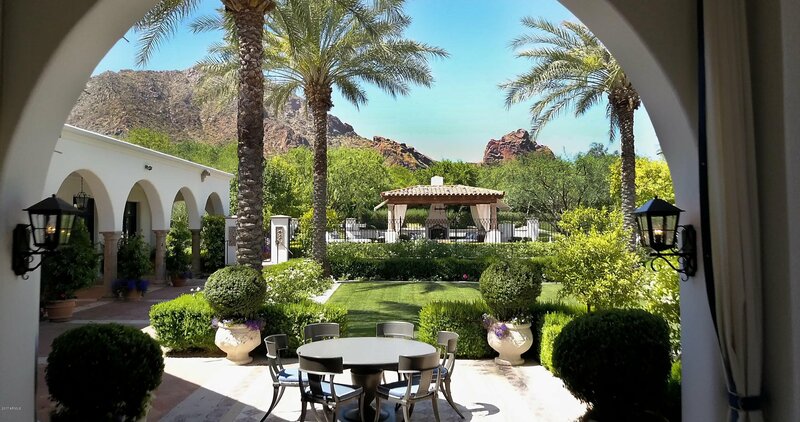 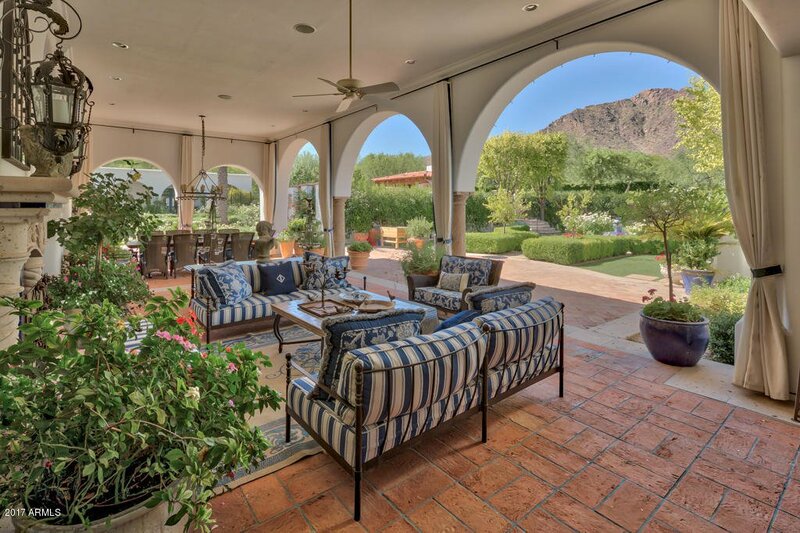 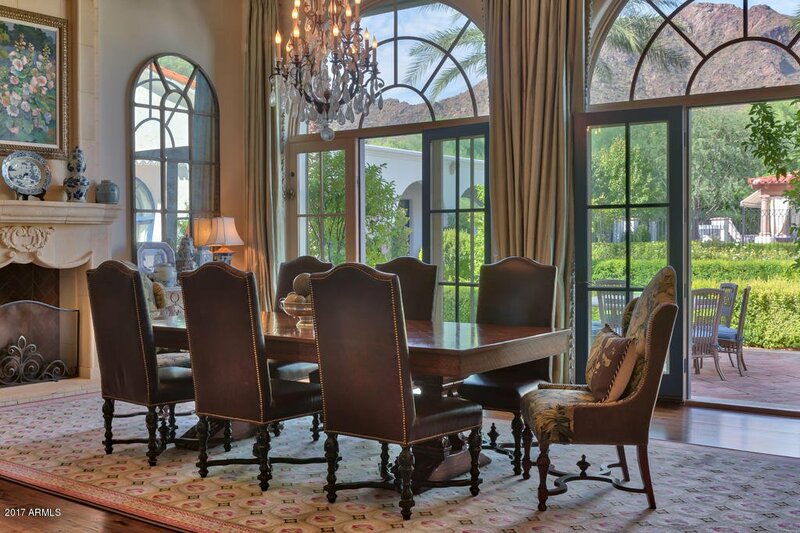 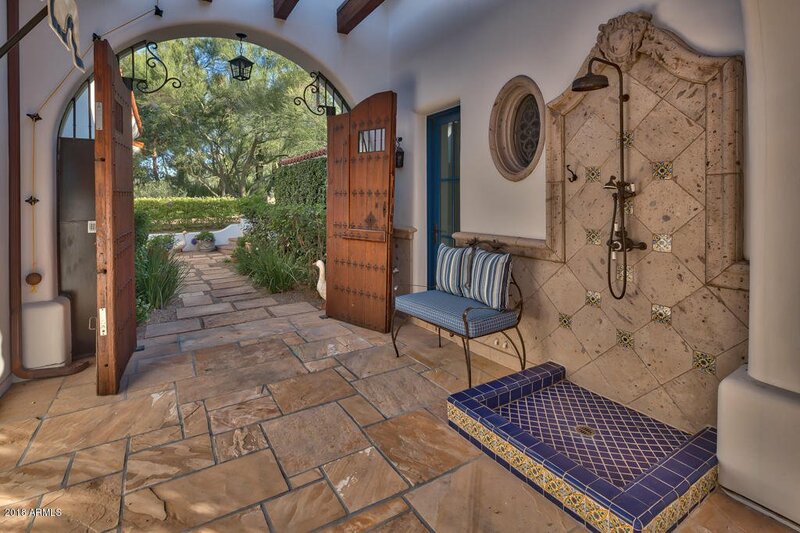 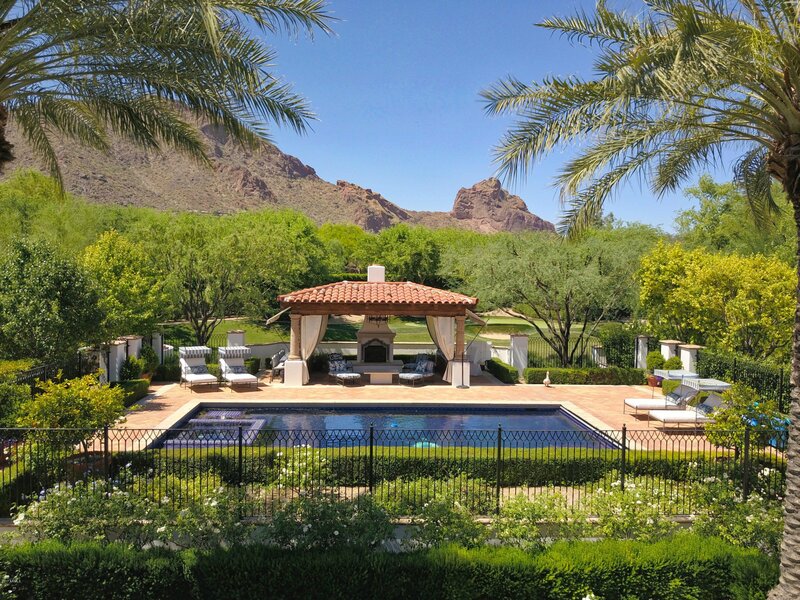 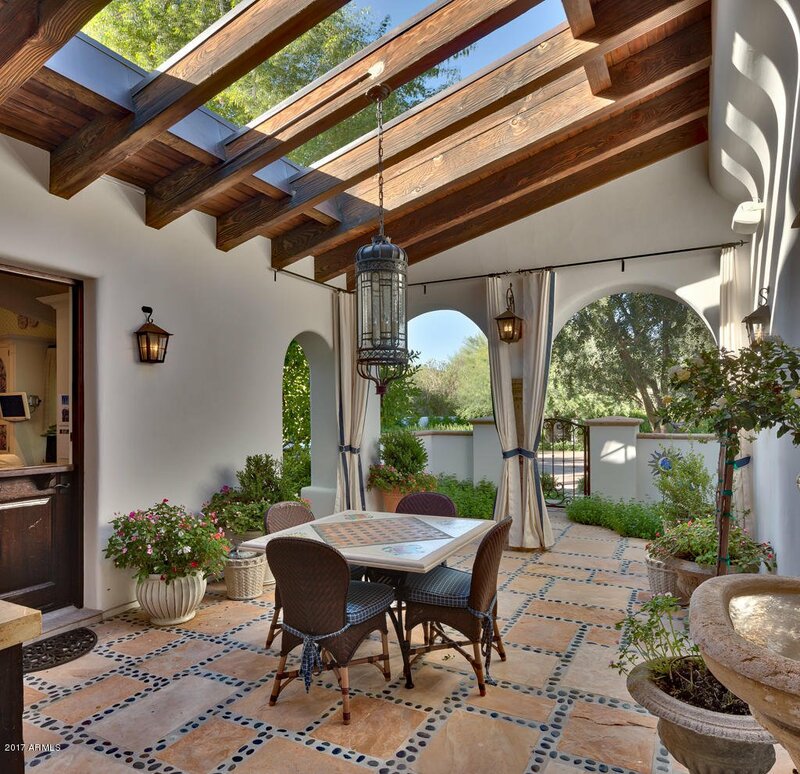 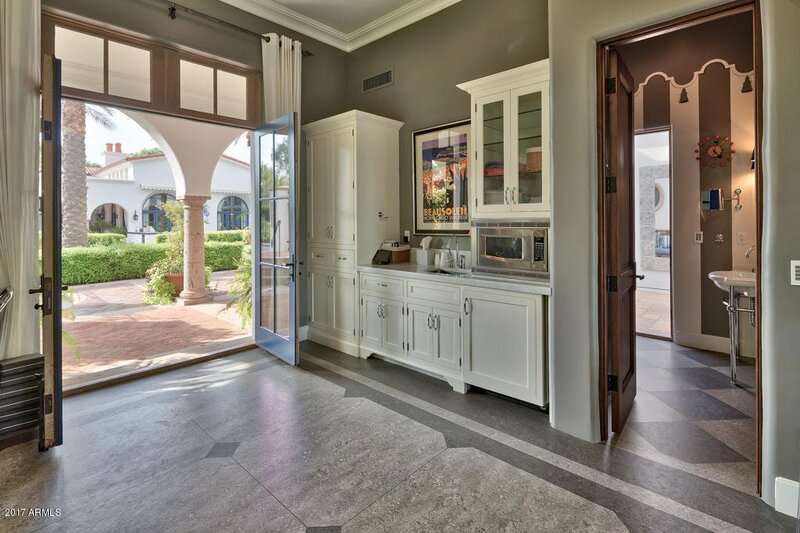 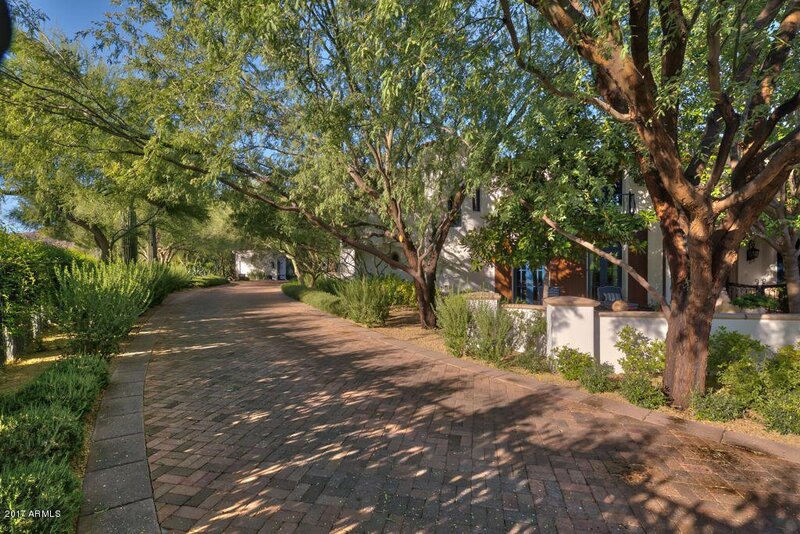 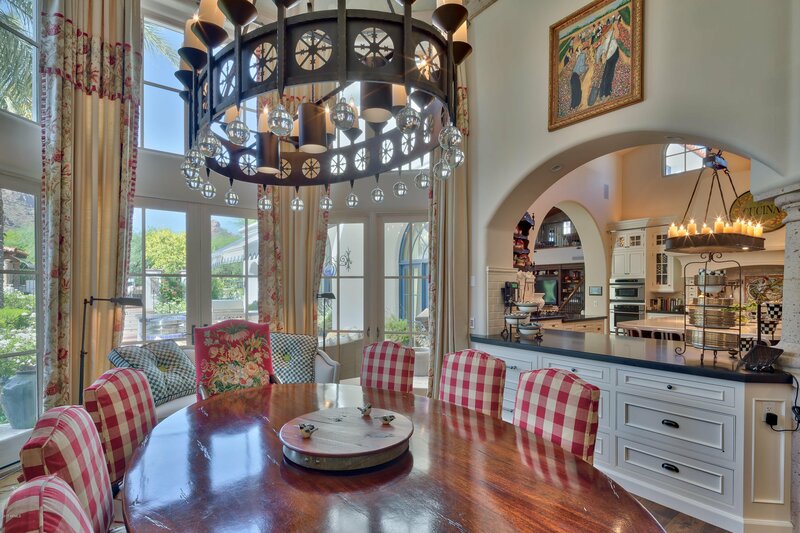 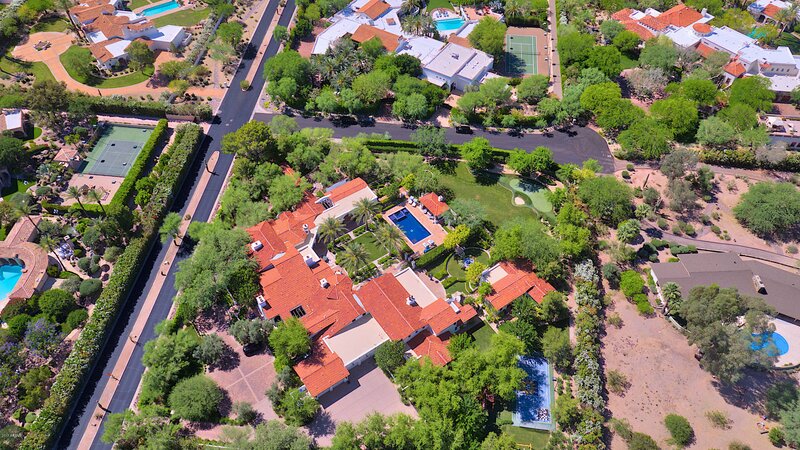 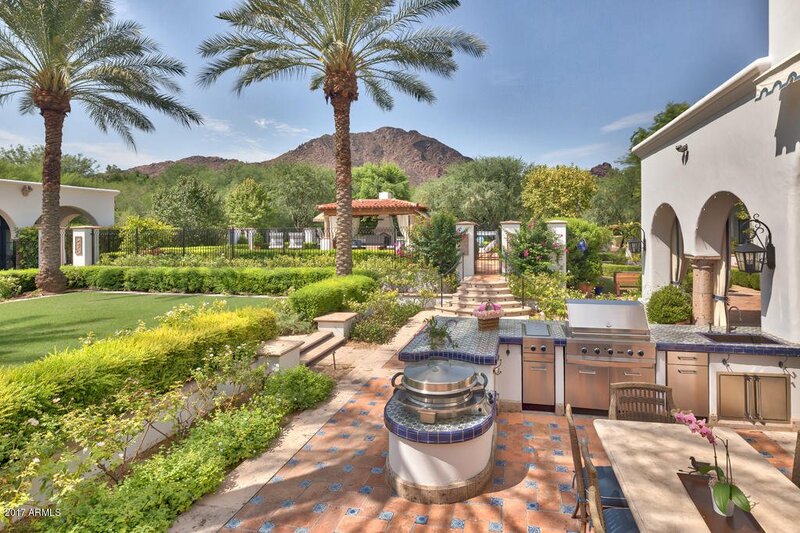 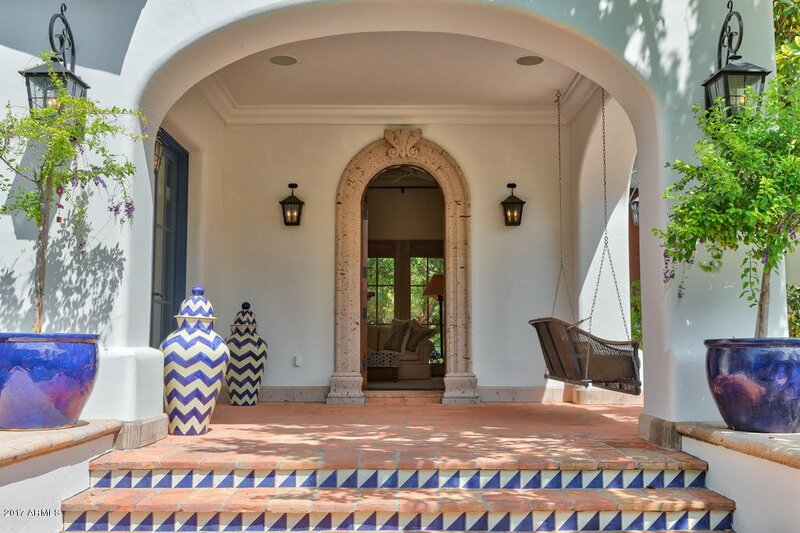 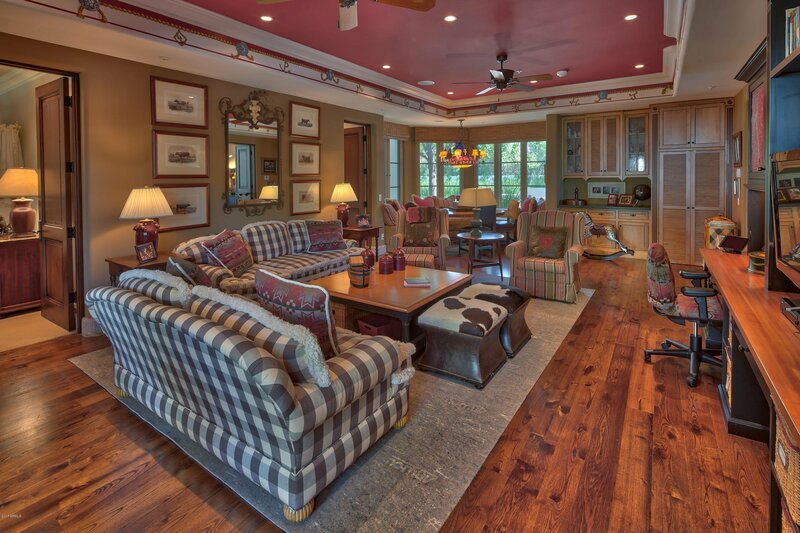 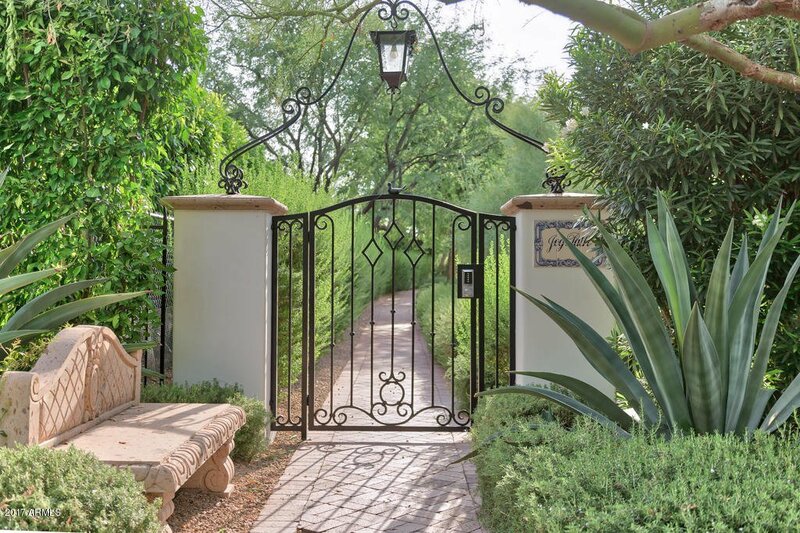 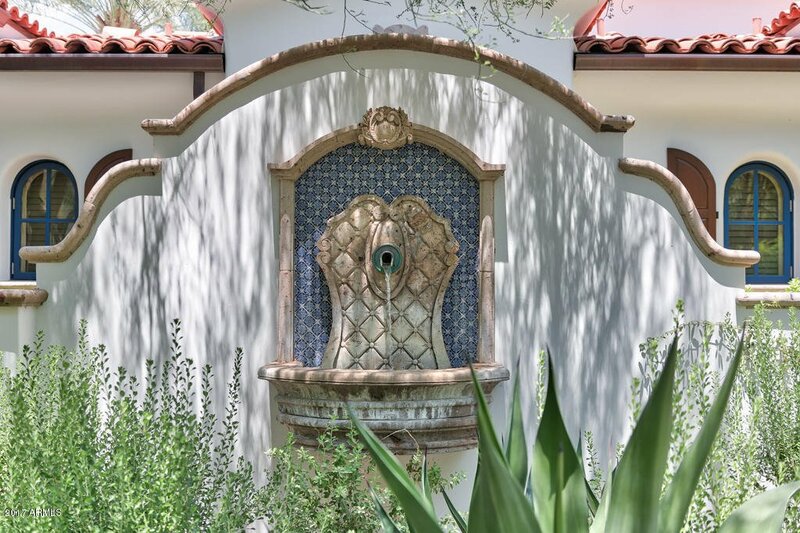 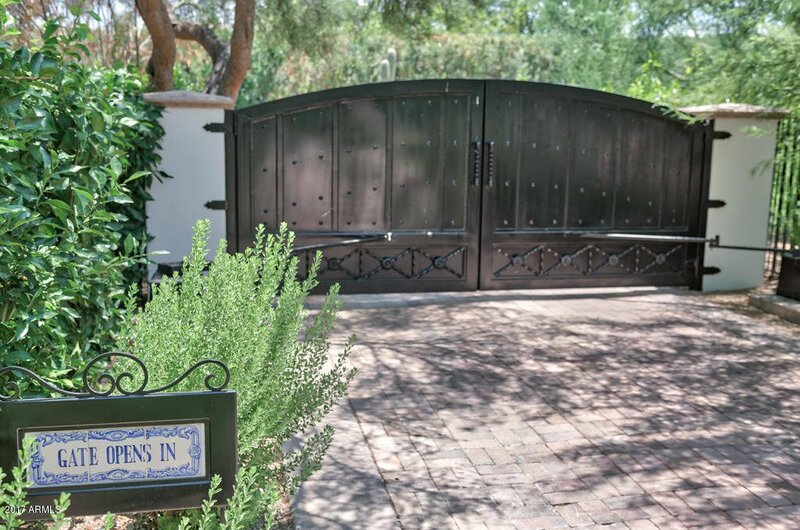 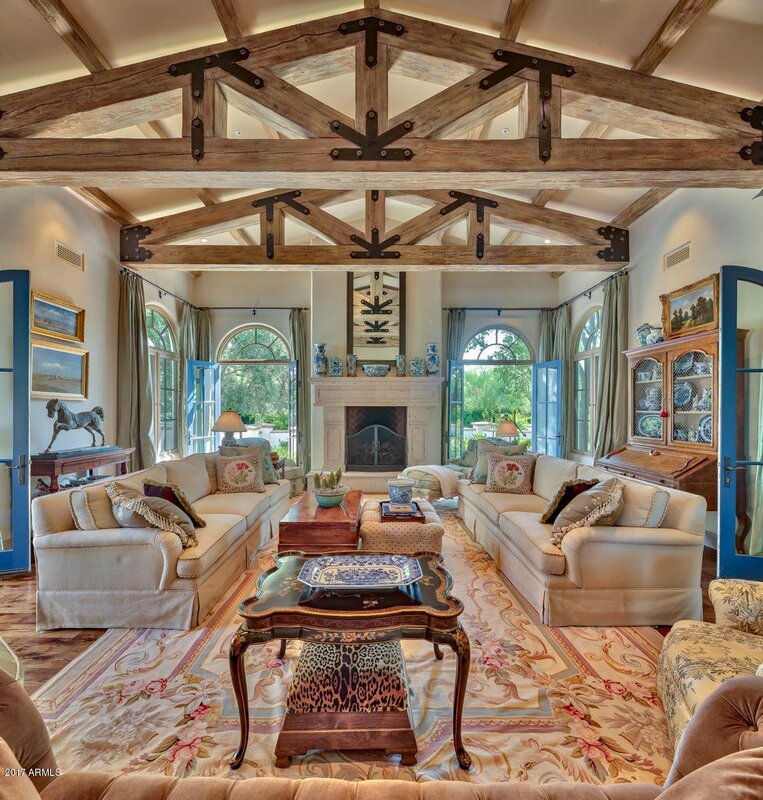 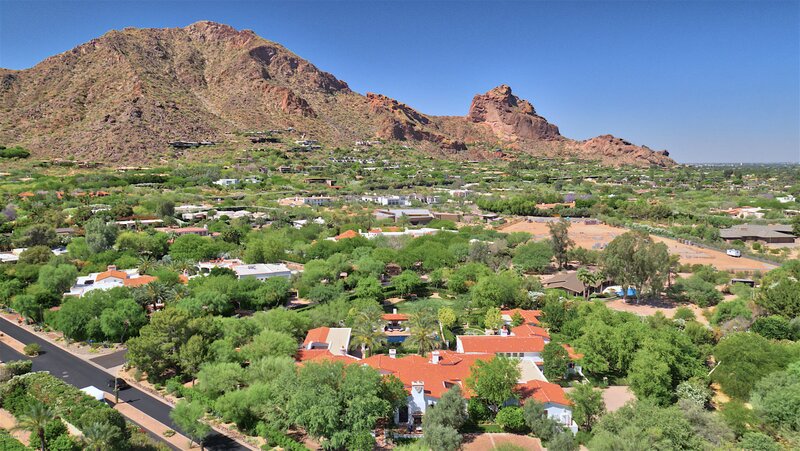 From the moment you pass thru the private gated entry of this 2.23 acre estate with hand-painted directional tiles, you will be captured by it's charm and the stunning Camelback Mountain views. 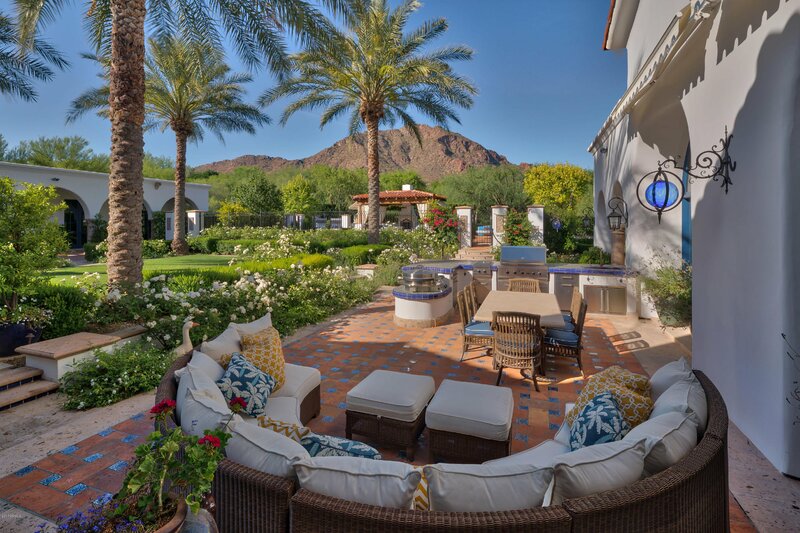 It boasts 12,295 sq.ft.,16 ft ceilings, a phenomenal backyard and an attention to detail that will excite the most discerning buyer!! 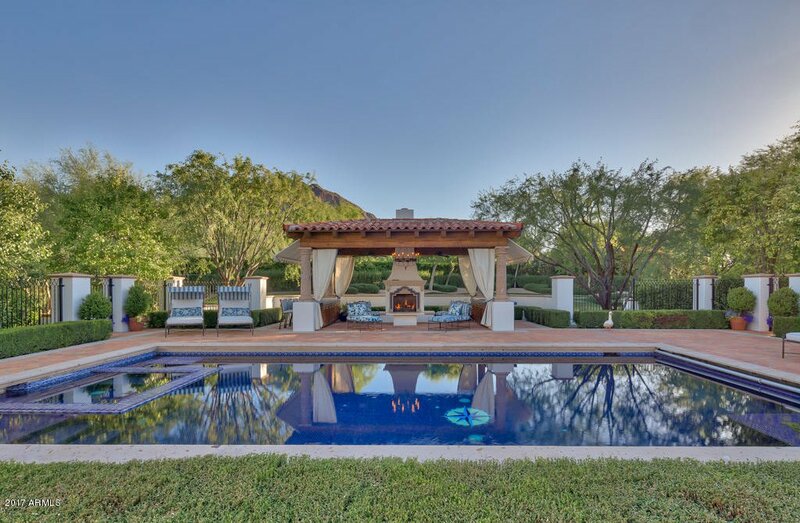 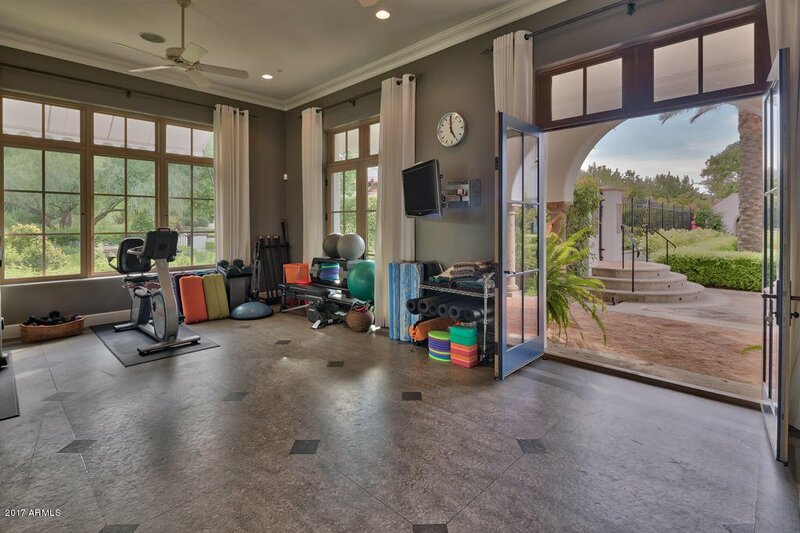 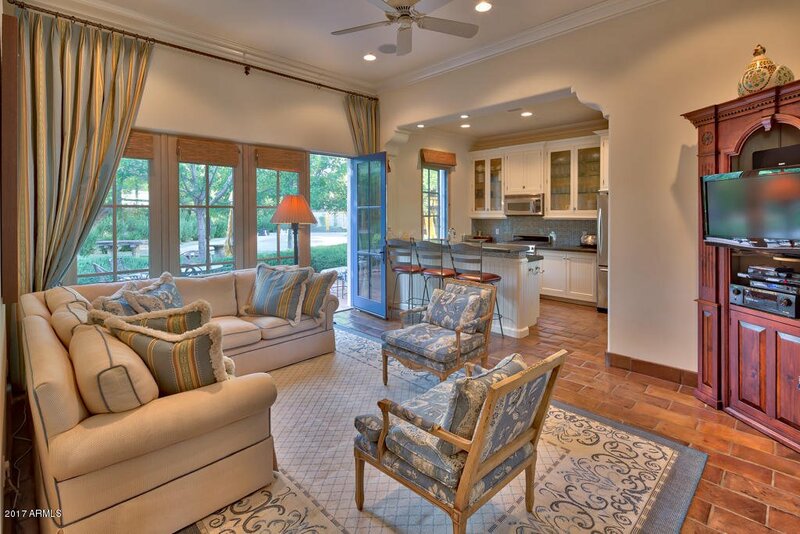 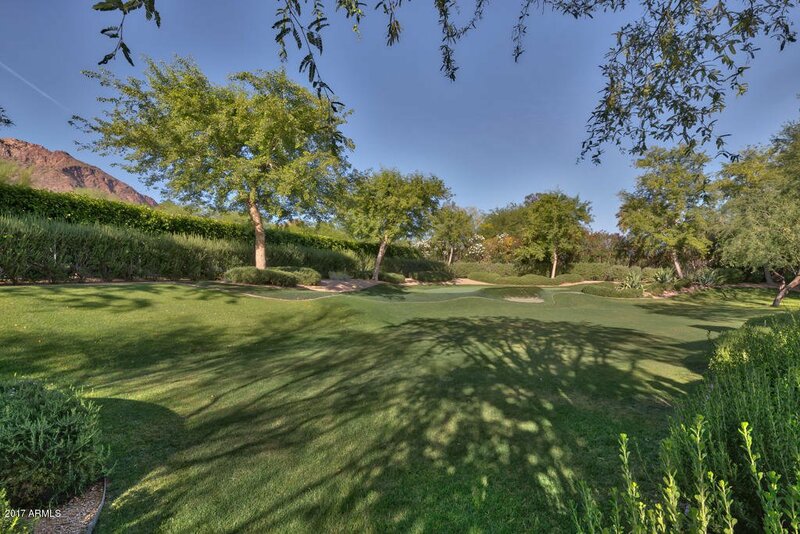 Multiple French doors frame Camelback Mtn and open to the expansive lawns, a fully tiled pool, cabana, sport court, putting green + play area. 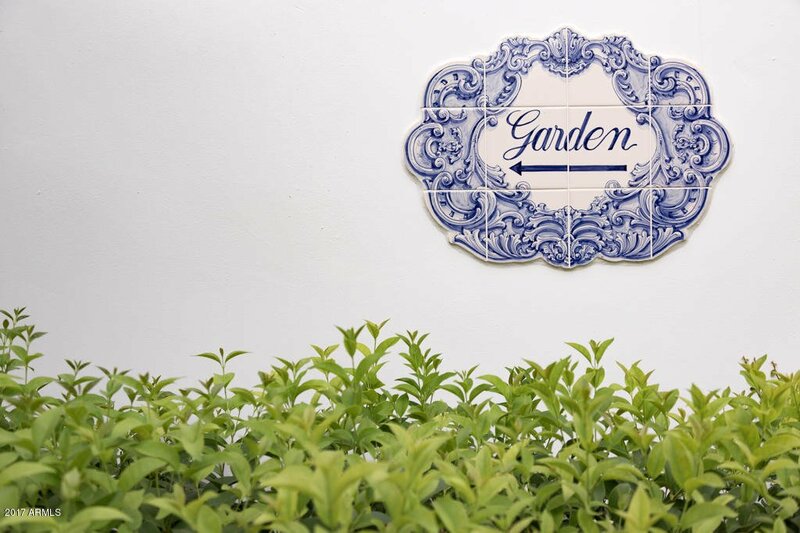 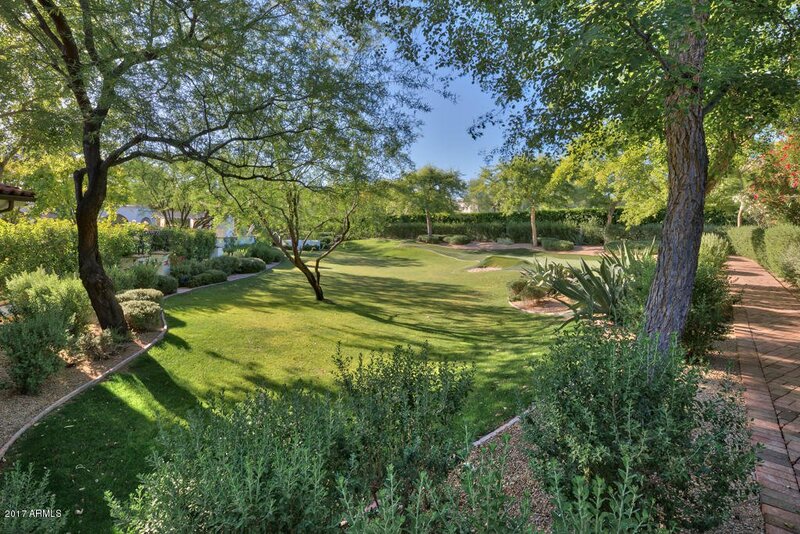 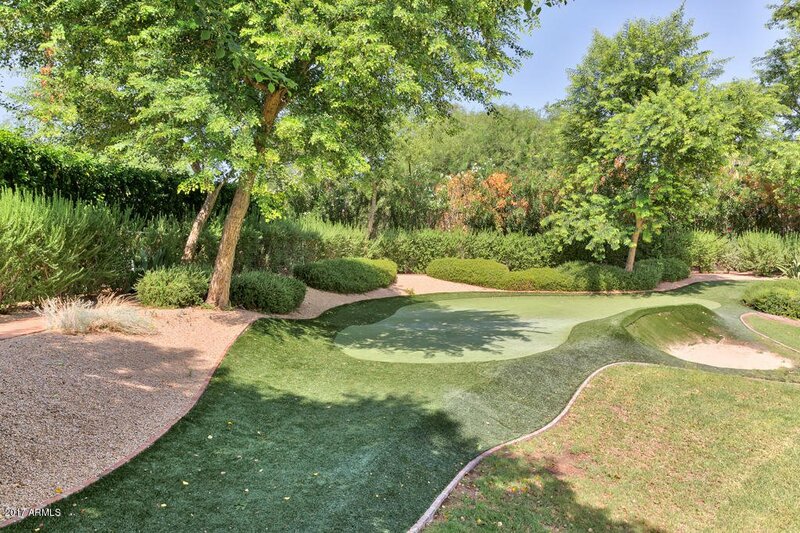 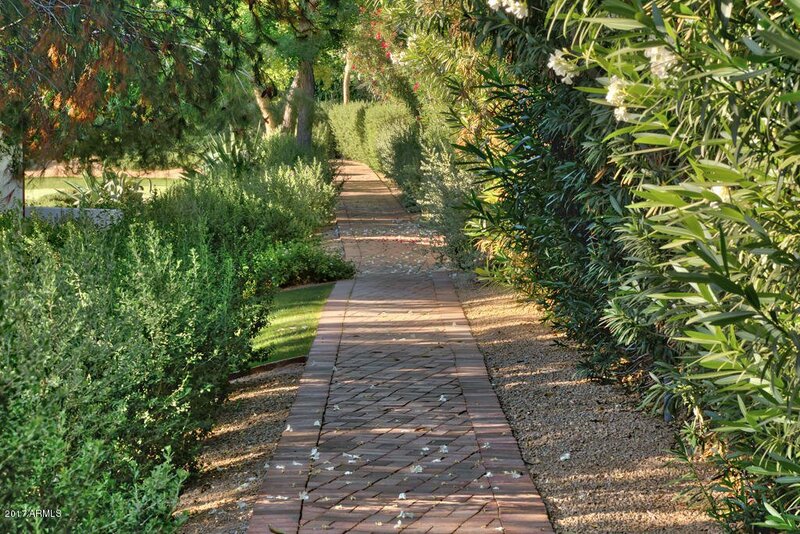 Stroll along a private jogging path + flower gardens and feel a sense of serenity. 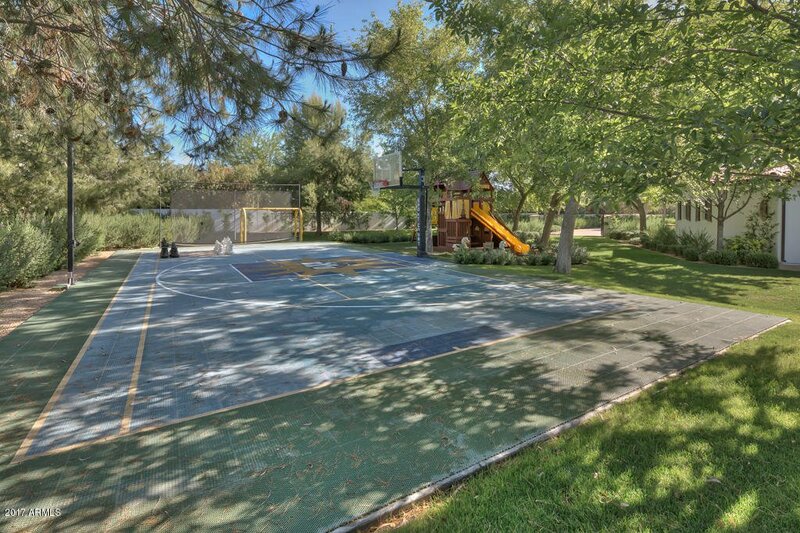 Highlights include a 2 bdrm guest house, separate exercise bldg. 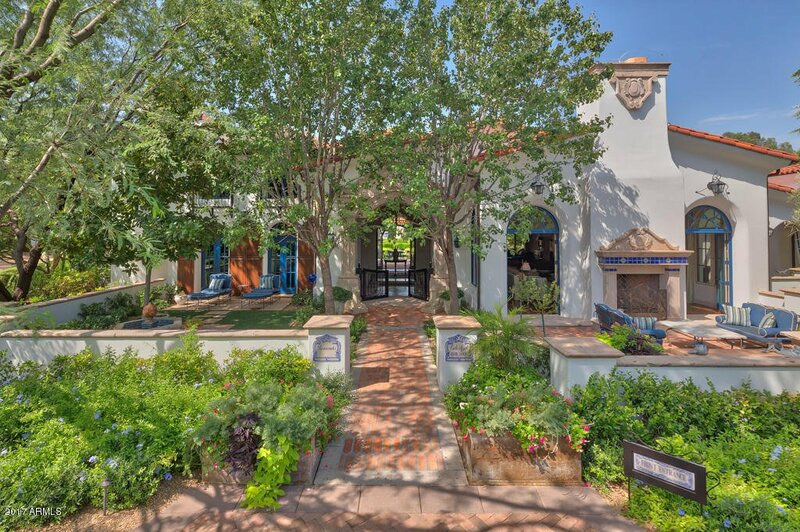 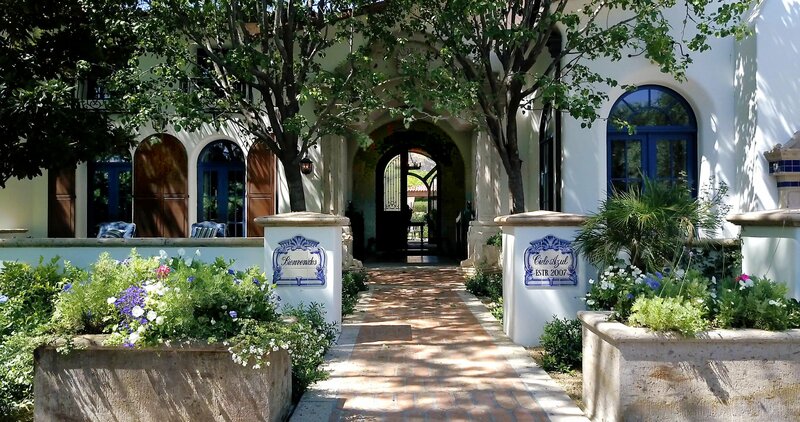 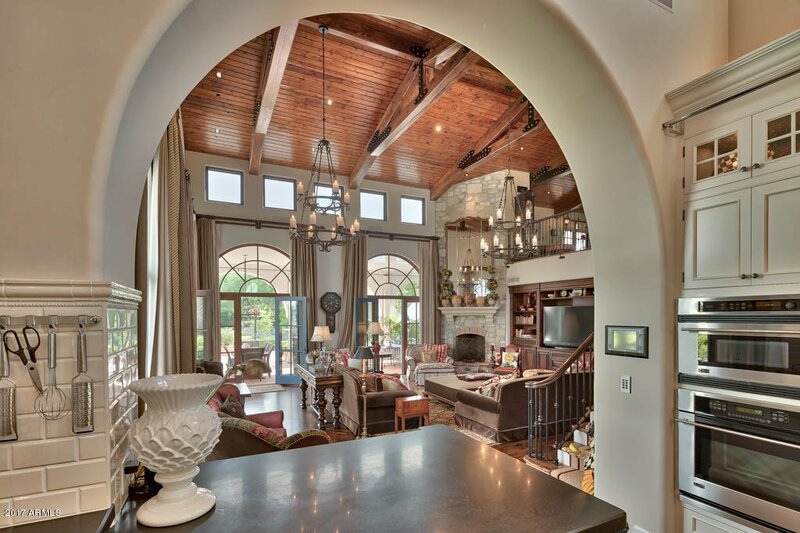 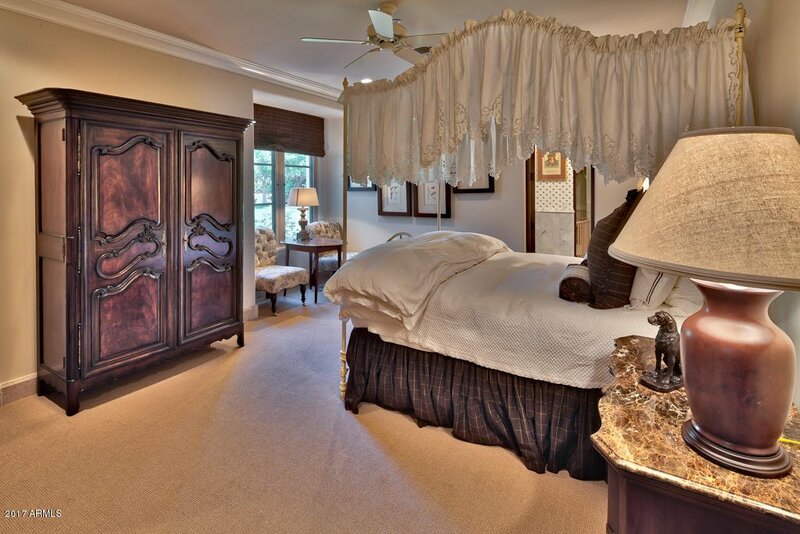 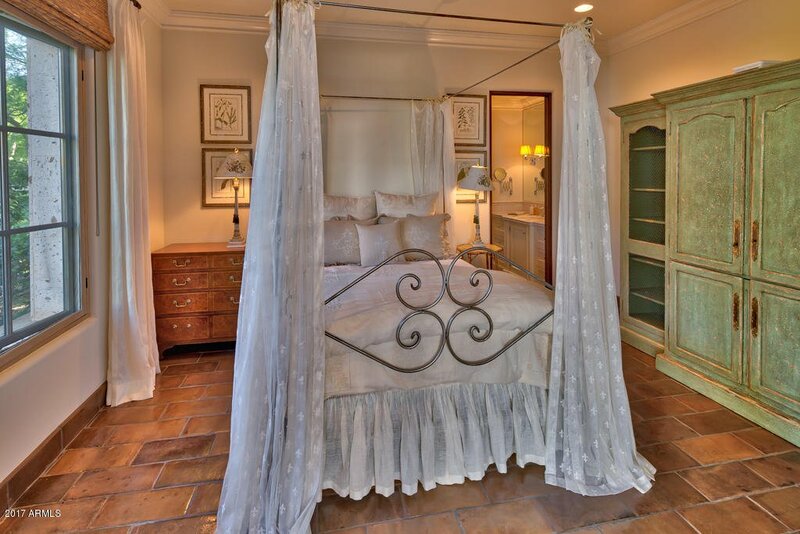 (or 2nd guest house) 2 family rms an elegant 2 story high walnut library, white designer Chef's kitchen, white carrara marble bathrooms + 2 huge outdoor entertainment patios. 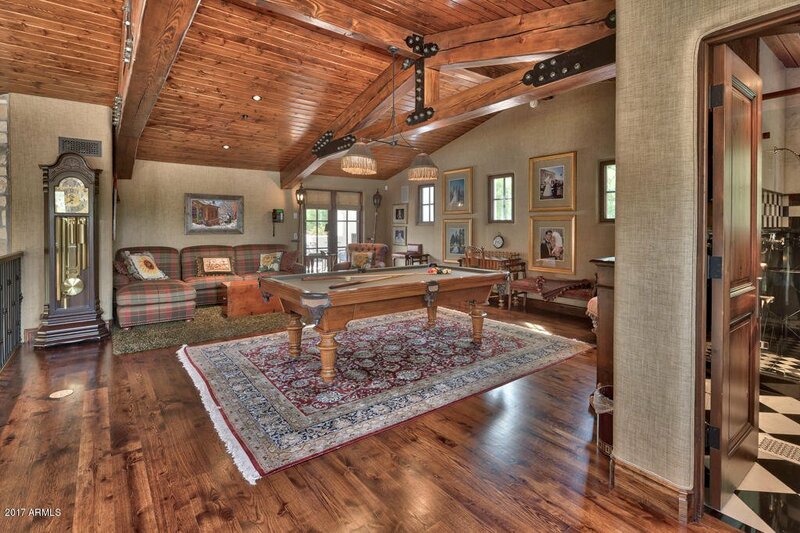 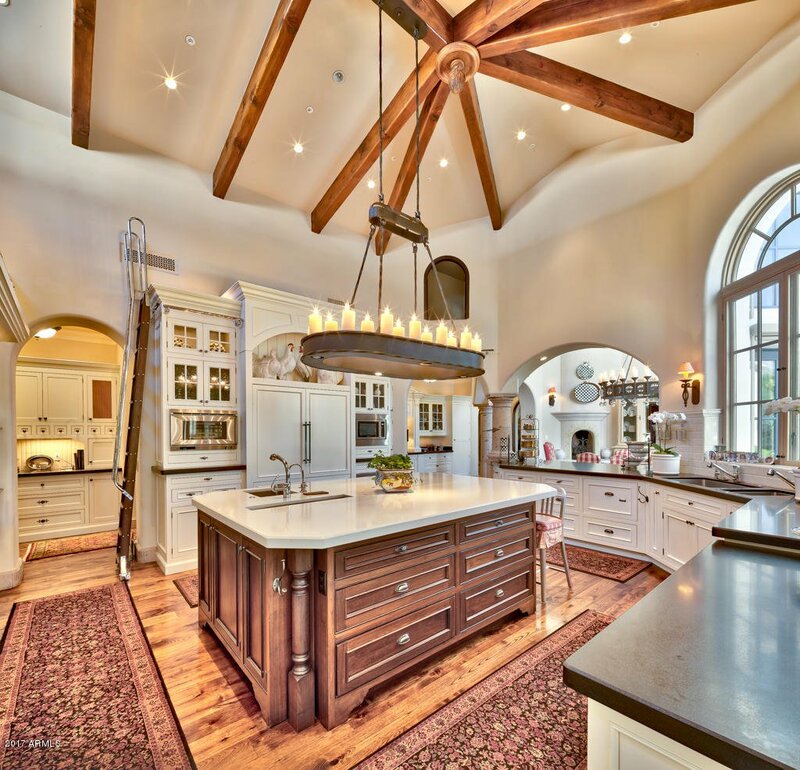 Features include hickory flooring, specially hand crafted commissioned cabinetry, hand-forged ironwork + iron-strapped trestle-beam and groin vaulted ceilings. 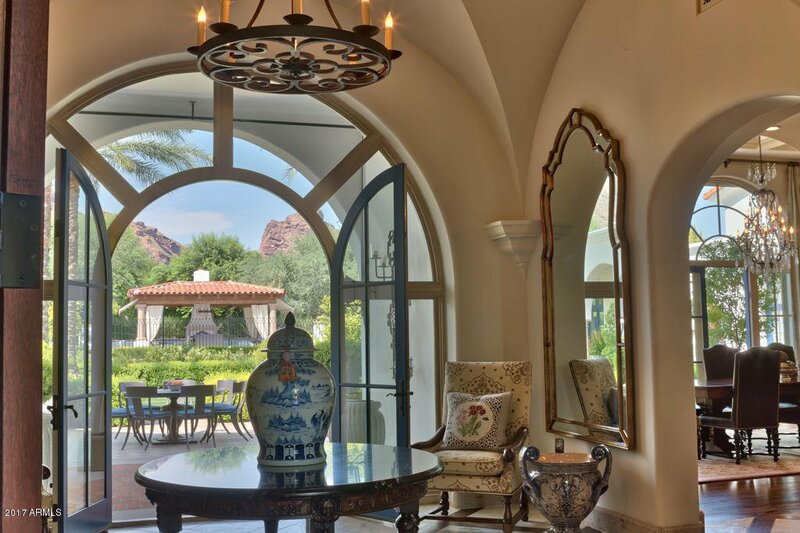 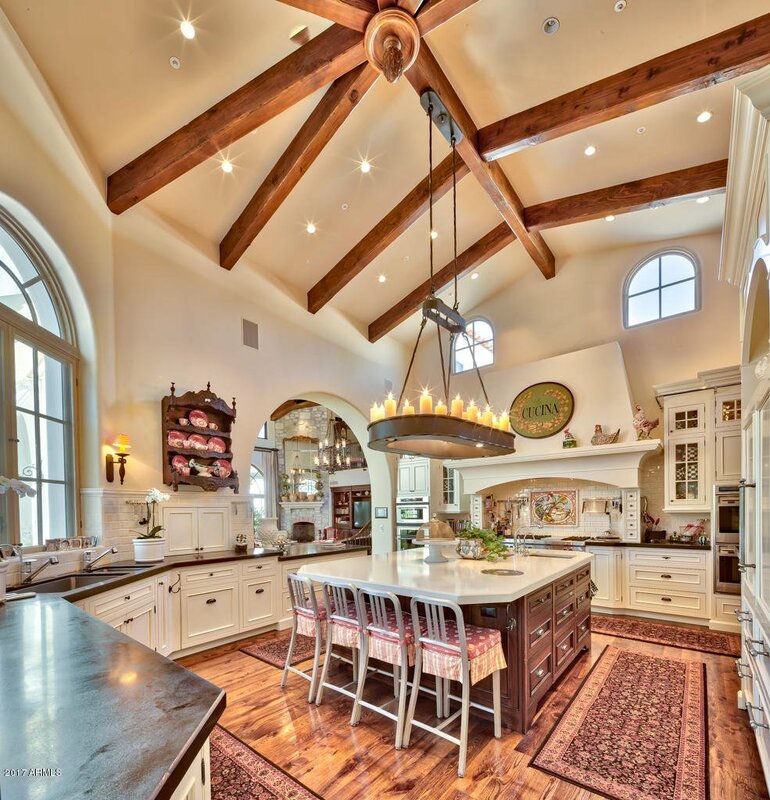 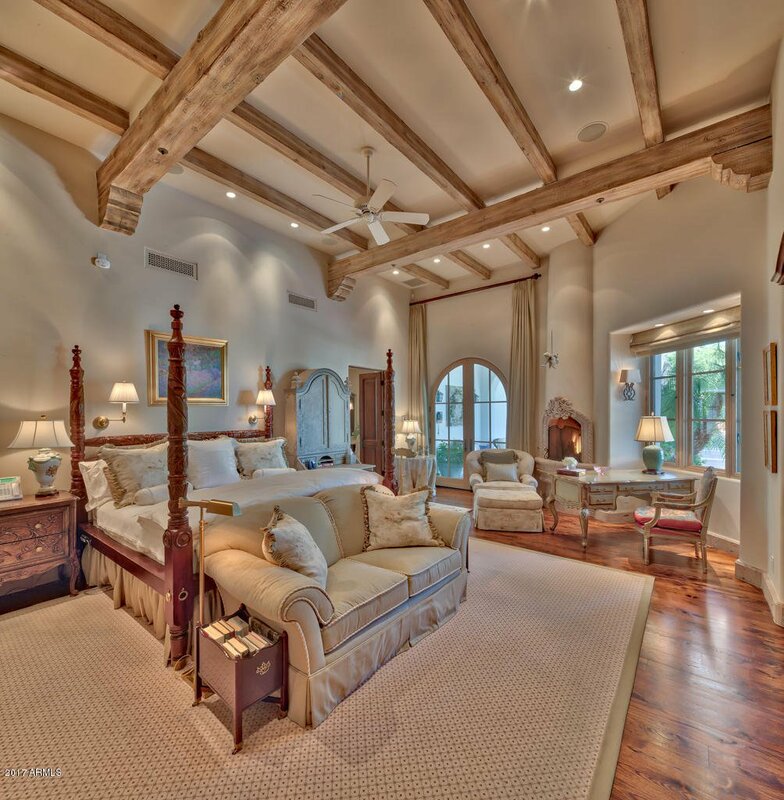 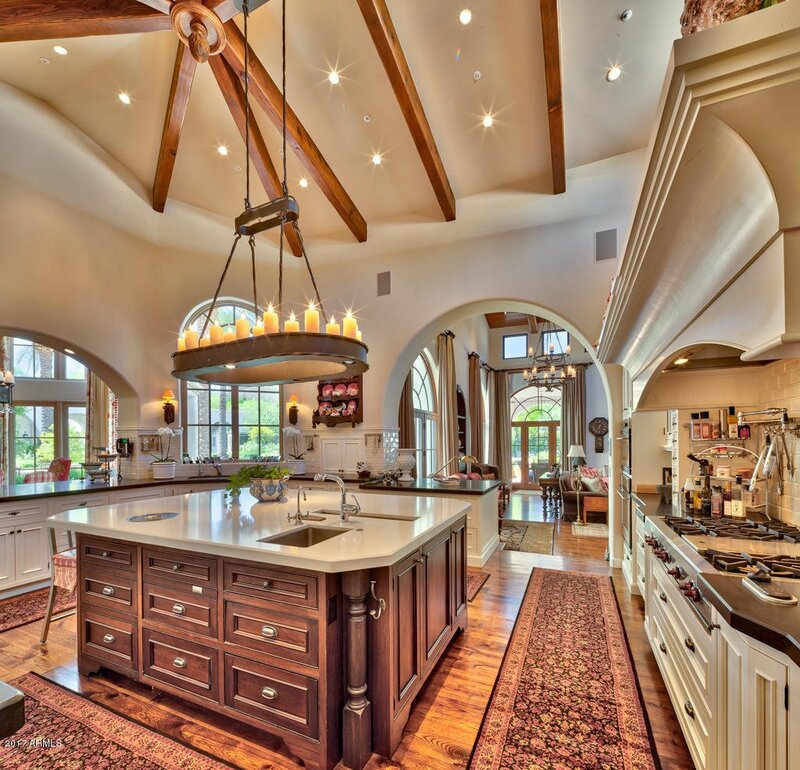 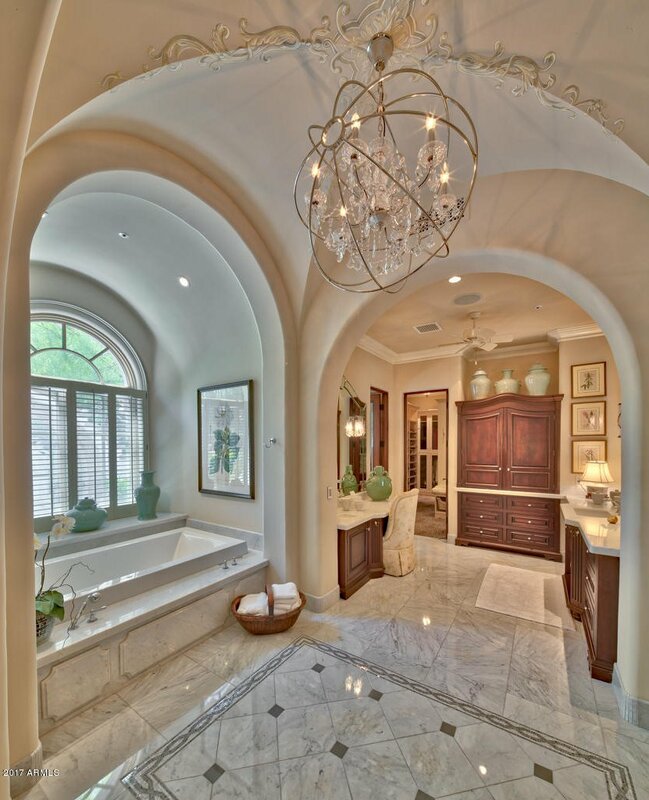 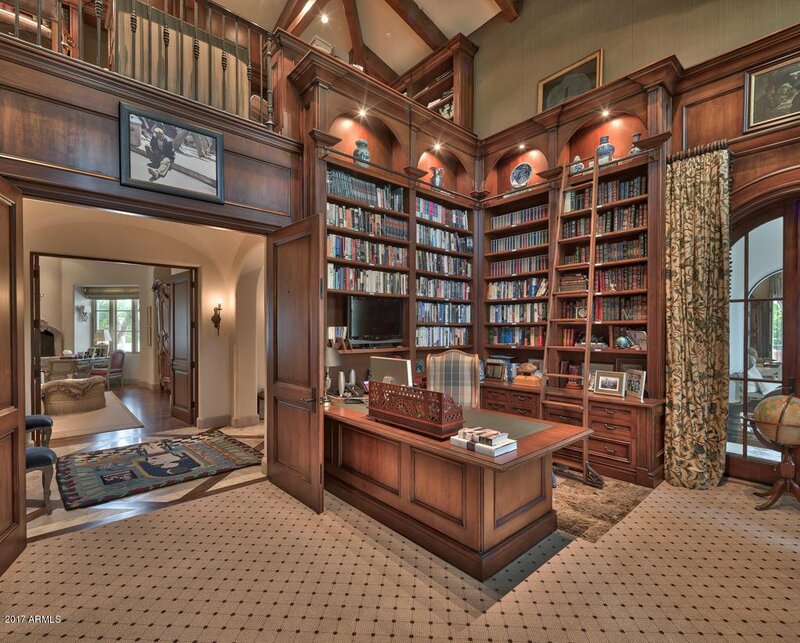 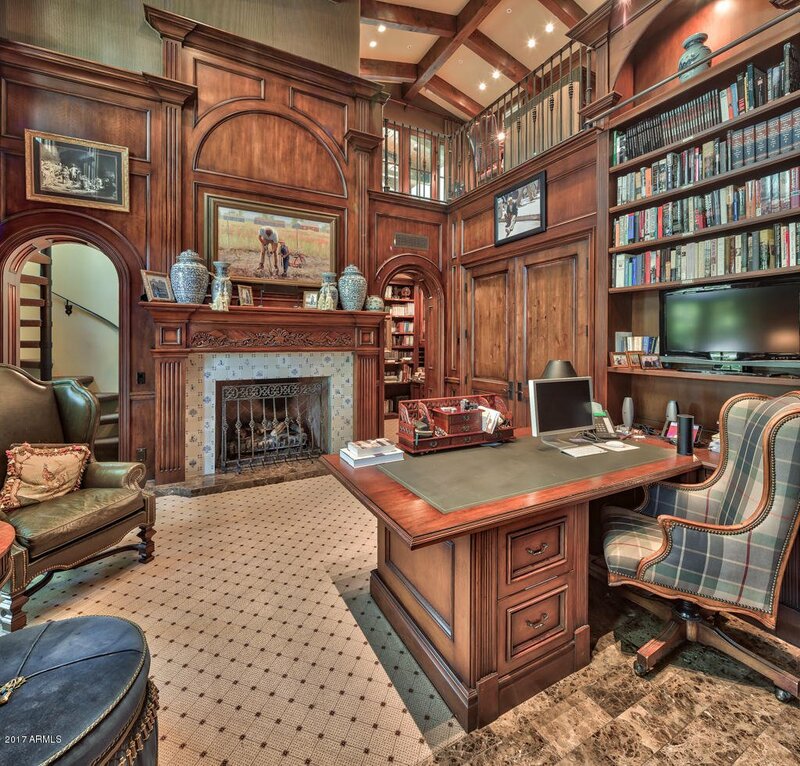 The magnificent craftsmanship, exquisite finishes, and inviting appeal make this one of the finest estates in Paradise Valley.